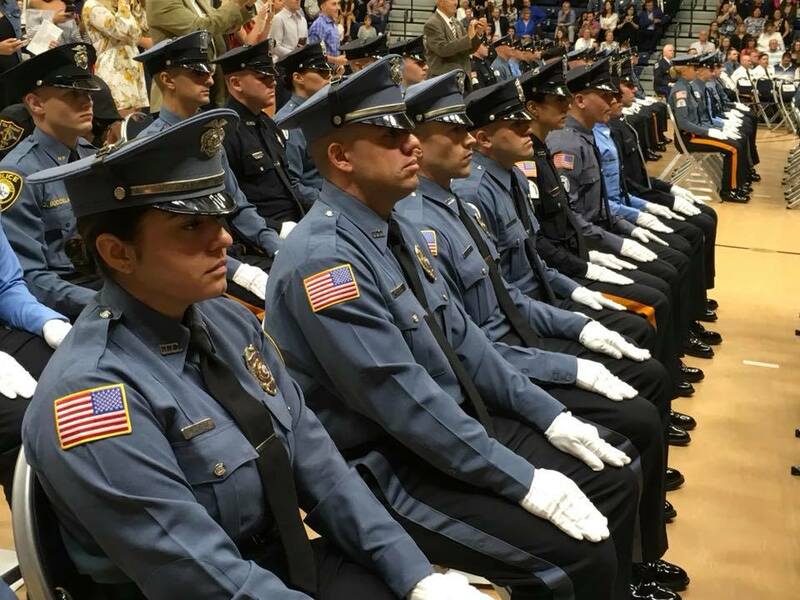 Lincroft: Sheriff Shaun Golden is pleased to announce the graduation of 88 newly sworn law enforcement and corrections officers from the Monmouth County Police Academy. 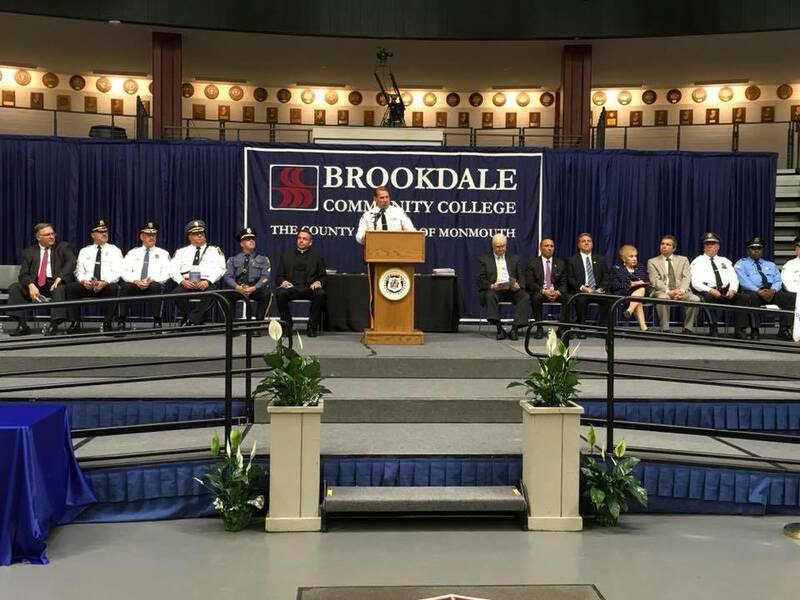 On May 23, 23 recruits of the 94th Basic Course for Police Officers, 57 recruits from the 45th Basic Course for Class ll Special Law Enforcement Officers and eight recruits from 36th Basic Course for County Corrections Officers received their police training commission certifications during a ceremony at Brookdale Community College. The Basic Course for Police Officers is a 20 week program with 780 hours of training. The Basic Course for Class II Special Law Enforcement Officers is a three month program and consists of approximately 600 hours of training with full police powers while on duty. 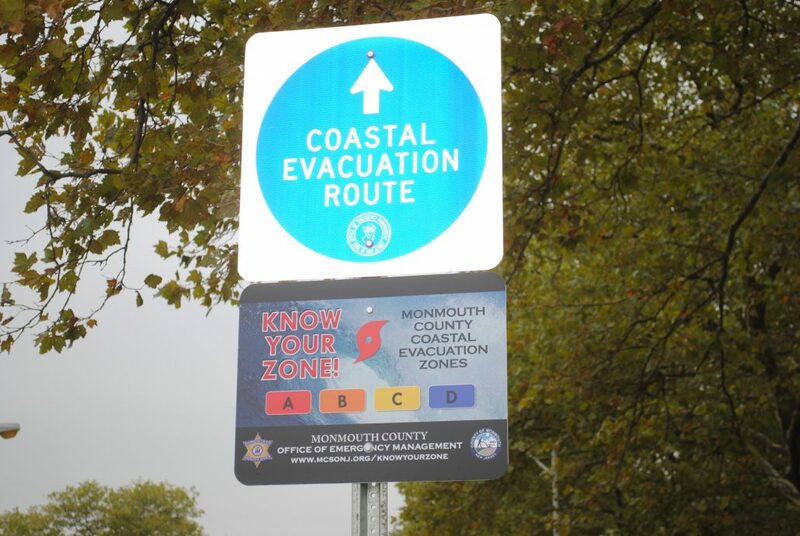 Both classes are run through the Monmouth County Police Academy. Recruits train in patrol concepts, defensive driving, professional development, weaponry and unarmed defense, criminal investigation, ethics, emergency medical care and physical training, along with a host of other courses. Upon successful completion of the police training commission approved curriculum, the officers are well prepared to serve their respective law enforcement agencies. 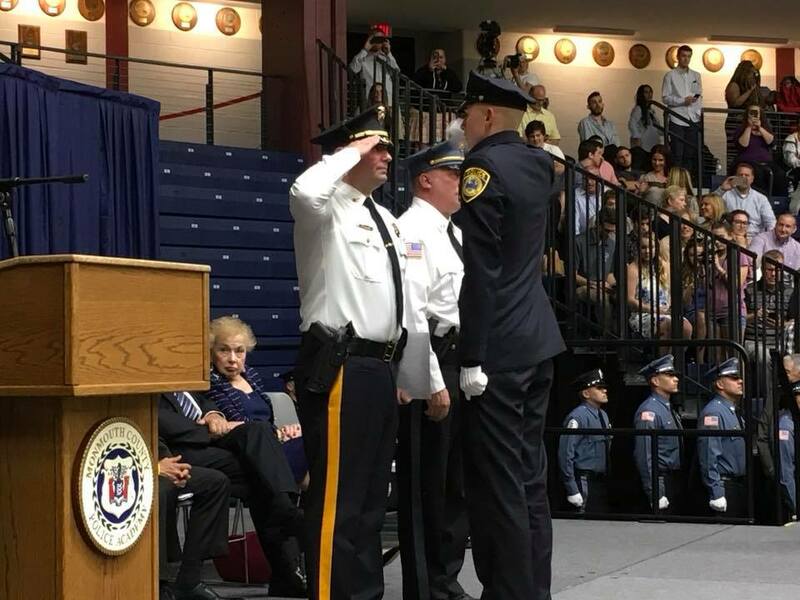 “Through their strong commitment and hard work, we can be sure that these graduates will serve our residents and communities well as they begin successful careers in law enforcement,” said Monmouth County Prosecutor Christopher J. Gramiccioni. Training for the Basic Course for County Corrections Officers is 12 weeks. The corrections officers engaged in physical training and drill and learned how to properly use firearms, batons, handcuffing techniques and mechanical restraints. They were also trained in unarmed self-defense and emergency medical response. Classroom instruction included topics on law enforcement and ethics, stress management, contraband and evidence processing, characteristics of inmates and drug interdiction and identification. All eight recruits are from Union County Corrections. Sheriff Golden, Deputy 1st Asst. Prosecutor Michael Wojciechowski, Monmouth County Prosecutor’s Office, Chief Scott Paterson, Rumson Police Department and Capt. Kenneth Parrish, Union County Corrections presented the recruits with their certificates.